A detailed history of ESOPs. From economic theory to important tool of business ownership transfer, ESOPs have had a long and interesting history. A Brief History Timeline of ESOPs. As we developed Esop Marketplace, we started thinking about how ESOPs originated, and what road they traveled to go from an interesting, though esoteric, idea in an economic treatise to an industry in its own right, with dozens of companies and hundreds of advisors specializing in ESOPs as a means of ownership transfer. We began to research ESOP history, including the theoretical work done as far back as the 1950s by Louis Kelso and Mortimer Adler to explore ways for employees to take ownership of their workplace; the legislation passed in the mid-1970s to 1980s that enshrined ESOPs in tax and labor law; and the ways that the industry has managed to innovate and grow. We tracked down and interviewed a number of the key individuals who had a hand in establishing this field, whether by doing seminal work in designing ESOP documentation and laws, or getting into the field as financiers and advisors and helping to provide capital and human talent. These interviews offer rare first-hand insights into the formation and evolution of a financial field, as well as valuable advice for fledgling ESOP advisors and business owners who are considering implementing an ESOP. Richard Acheson - Richard M. Acheson is a CPA and attorney, licensed to practice in California. Educated at ASU and Loyola Law, he gained a profound understanding of ESOP and other law while working as an agent with the IRS. In 1976, he joined BSI ESOP - an ESOP administration service provider that has since become one of the nation's premier ESOP administration & advisory firms - as a principal. In addition to being a top specialist in ESOP law and administration, he has been deeply involved in national ESOP advocacy and industry organizations - he served as one of the founders and is a current member of the ESOP Association and the National Center for Employee Ownership. Dave Ackerman - David Ackerman practiced ESOP law for over 25 years, until retiring in 2014. During that time, Dave became one of the most experienced ESOP lawyers in the country. 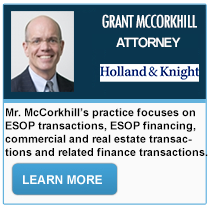 He worked on hundreds of ESOPs, representing business owners, ESOP trustees, banks, and other participants in ESOP transactions. Included in Dave’s career is work on some of the largest and most complex ESOP transactions of his time. Dave was highly respected for his detailed knowledge of the laws regulating ESOPs, for his creativity, for his integrity (and, within his firm, for his expertise in the proper use of commas and semi-colons). 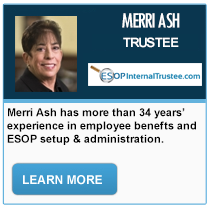 Merri Ash - In the 1970s, Merri Ash got a start in bank record keeping services working for SEI Investment Company, at the time the largest provider of trust accounting systems. During that time, she was involved in SEI's initiative to developed a fully-automated, computerized trust and investment accounting system - a first in the business. When Congress started to pass laws codifying employee stock plans such as ESOPs and TRASOPs, SEI decided to enter the new field, and Ash became the company's go-to expert on stock plans. She has been involved in ESOPs ever since, managing numerous major ESOP transactions, holding offices in organizations such as the ESOP Association, and doing "just about everything you can do in this business." Roland Attenborough - After reading Louis Kelso and Mortimer Adler's seminal "Capitalist Manifesto" as an undergraduate at UC Berkeley in 1959-60, Attenborough was inspired by the ideas in the book and began a years-long correspondence with Kelso. Kelso's ideas about capital distribution and worker participation in ownership became the underlying framework for ESOPs in the following decades. After graduating with a degree in taxation, Attenborough eventually became an associate at Louis Kelso's firm, where he was instrumental in developing blueprint documents for ESOPs and was involved in some of the first employee ownership plans in America. 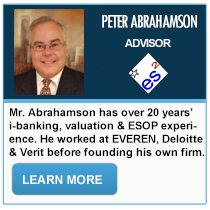 He has worked in the field for many decades, and is one of the most experienced ESOP advisors and tax lawyers in the country. Ted Becker - Ted Becker is an accomplished corporate litigator, having over 25 years of successful defense and dispute resolution experience. He has served as lead counsel in numerous ESOP and ERISA cases, representing company clients in class action and fiduciary litigation. He has extensive experience defending clients in government agency investigations for ESOP compliance and other matters. His expertise isn't limited to ESOPs - he has argued legal areas that range from contract law to employee benefits, intellectual property, trademarks, competition and many more. 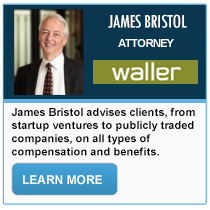 He is currently a partner at the Employee Benefits and Executive Compensation Practice Group at Drinker Biddle. Greg Brown - Brown took an early beginning in the ESOP field: in his first year of practice with law firm McDermott Will & Emery, he got involved in so-called "tax credit employee stock ownership plans." The plan offered a tax credit of up to 11% for companies that contributed or invested in their employee stock benefits. Greg Brown was the person tasked with understanding the new tax breaks and helping companies implement them. In the years immediately after ERISA was adopted, new regulations streamed out of the IRS and Labor Department almost every week, and Brown needed to learn on the job and keep up with the new rules at the same time as he was drafting plan documents for clients. The head start, along with the ensuing three-odd decades of ESOP work, have made him one of a handful of the nation's most experienced ESOP lawyers. 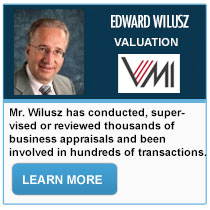 He has graciously agreed to be interviewed for the ESOP Marketplace Advisor Hall of Fame. Dickson C. Buxton - Buxton was running a large and diversified financial company in the San Francisco Bay Area, when one of his clients asked for help in buying out a majority shareholder. After discovering that this wasn't possible with after-tax dollars, Buxton was introduced to Louis Kelso, who had an ingenious idea of structuring the buyout as a benefit and avoiding large tax liabilities. The transaction was a success, and Buxton was impressed enough to create an ESOP division in his company, and, eventually, selling off all the other divisions to concentrate exclusively on private company investment banking. Since co-founding Private Capital Corp in 1976, Buxton has been deeply involved not only in financing and structuring ESOPs, but lobbying Congress to pass ESOP rules and tax benefits, as well as co-founding the National Association of ESOP Companies. Rob Edwards - Rob was a delight to interview. Having retired from full-time ESOP work, he had a wealth of experience and insight to share. While located in two different countries situated on two separate continents, we talked for nearly an hour about his work with ESOPS, the trends in ESOPS, and his hopes for ESOPS in the coming years. Laurence "Larry" Goldberg - Larry's career started in the 80s in New York City, at the major law firm Shearman and Sterling. In 1987, he moved to San Francisco, where he was introduced to Ron Ludwig of Ludwig and Curtis, joining the firm the same year. In 2001, after the death of Jack Curtis and Ron Ludwig's retirement, the firm merged with Kirkpatrick and Lockhart. In 2006, hLarry moved to Sheppard Mullin for several years; in 2013, he decided to start a boutique law firm with Lynn Dubois, under the name of ESOP Law Group. Jerry Kaplan - Kaplan was working as a tax lawyer at an investment banking firm in Chicago, when ERISA passed and first enshrined ESOP in tax law. Nobody in finance or tax knew anything about the new rules, what they meant for stock plans and how they could be used in ownership transition. The following year, Kaplan was invited to a conference on ERISA, and ended up presenting a paper on ESOPs. This paper turned out to be the first publication on ESOPs in tax literature, and Kaplan was drawn into the fledgling field to become one of the nation's preeminent ESOP experts and advisors. He has been involved in some of the biggest and best-known ESOP transactions over the decades, such as the United Airlines ESOP. Louis O. Kelso - Louis is the grandfather of ESOPs, and a hero to all of us. The ideas he began to develop in the 1940s and 50s pushed off an incisive critique of Marxism, as well as predictions about labor dynamics in an economy that increasingly relies on automation for productivity improvements; seeking to allow the wage worker increased participation in the economy, Kelso developed a series of approaches to distributing ownership that would provide employees with access to investment capital, a second income, and a sense of ownership & control over their workplace. Kelso's ideas have been enshrined in ESOP regulation and have gone on to create many financial instruments that make it easy both for retiring business owners to pass on their legacy, and for workers to have a chance of greater prosperity and participation in the economy. Carla Neal Klingler - Carla Klingler has over 30 years of experience in pension plan and ESOP administration, beginning in 1980 when she served as V.P. Administration at a prominent ESOP firm. She has done ground-breaking work in developing methods and procedures to make regulatory compliance easier and more intuitive. 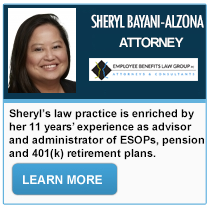 She has made a significant contribution in interpreting the ESOP regulations and other parts of ERISA; as an advisor, she draws on her extensive experience and technical proficiency to help business clients of every profile through every stage of ESOP setup and administration: plan design, plan documents, communication with employees and management, valuation, compliance and so on. She founded and is currently heading Pyrastar, a pension administration and consulting firm. 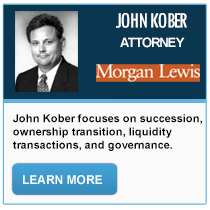 John Kober - John Kober began his career at Arthur Young (now Ernst & Young) in the early 1980’s in the tax department working in various areas of corporate tax planning, corporate divestures, partnerships, and financial planning for high net worth families. During that time in the early 80's, John was learning about ESOPs and by 1984, as tax laws changed to attract and secure bank financing of ESOPs, he was ready to take on his first major transaction. Norman Kurland - Norm was one of Louis Kelso's close associates and collaborated with him on developing the ideas of employee ownership. He is a leading proponent of the "Just Third Way" approach to wealth and markets, which is a model that avoids the stark inequality of capitalism and the inefficiency & lack of creativity inherent to a socialist public ownership model. The "Just Third Way" builds on the ideas of ESOPs to democratize the economy and allow the average worker access to capital without resorting to socialist style top-down redistribution and public ownership of the means of production. He currently heads the Center for Economic and Social Justice (CESJ) - a non-profit advocacy organization that is devoted to promoting the ideas of employee ownership, broad access to capital and other principles of the "Just Third Way." Sue Ledingham - An indefatigable learner, Sue Ledingham has worked with ESOPs for a long time and has worn many hats in the field. Her career started at the office of an insurance agent, administering defined benefit plans. 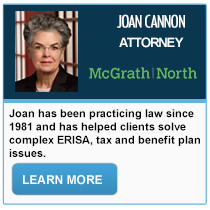 When ERISA landed and caused an earthquake in taxes and benefit law, Sue was among the first wave of benefits experts who jumped into the field and learned how to comply with reporting and disclosure requirements. She got a start in employee stock plans when working for ESOP pioneer Rainer Schaaf. She has been closely involved with the ESOP community, helping to develop the ESOP Administration Handbook, a definitive introduction to ESOPs for businesses. Sue has agreed to share her wisdom and experience with ESOPs in a comprehensive interview that details her history in the field. Dennis Long - From humble beginnings as a one-man operation in Appleton, Wisconsin, Dennis Long founded BCI Group and saw it grow to the largest ESOP administration firm in the country, with 120 employees and clients in all 50 states. When tax laws started to change in the early 1980s and ESOPs became plans that offered serious tax benefits, Long became determined to capitalize on the opportunity and spent years building a nationwide client base as an ESOP management expert. Unlike asset-based plans, which took the time and attention of major financial services companies, ESOPs were an esoteric and complicated instrument; by getting in on the ground floor of the new industry, Long's BCI Group became one of the country's go-to companies for ESOP administration, until its acquisition by Principal Financial Group in 2003. John D. Menke - John Menke is a pillar of the ESOP community due to his close association with Louis Kelso and decision to dedicate his efforts to administering and setting up ESOPs right after they were codified in tax law. He was an associate at Kelso, Cotton, Seligman & Ray from 1968 to 1971 and a senior tax attorney at Kelso's law offices from 1972 to 1974; when ERISA was passed in 1974, Menke was there to add his expertise and professionalism to the burgeoning field, having founded Menke & Associates that same year. 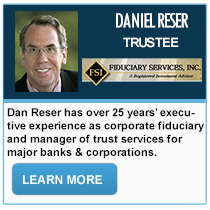 He was involved in drafting the original ESOP portion of ERISA; he has written many articles and a highly regarded book about many aspects of ESOPs and other estate planning methods. Corey Rosen - Unlike most people on this list, Corey Rosen didn't start out in the finance sector. He trained as a political scientist, and worked as a Congressional advisor for the Senate Small Business Committee from 1975 to 1980, being closely involved in two major pieces of financial legislation: the Chrysler Loan Guarantee Act that bailed out the troubled company in 1979-80. He also worked on drafting Section 1042 of the Internal Revenue Code - the tax deferral for owners. He became involved in ESOPs when a business owner pointed out a disparity in capital gains taxation between an internal sale of a business and a third-party buyout. He has co-written bills that give tax incentives to ESOP companies, benefitting owners and workers. 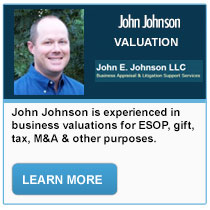 He has shared his insights and experience in an interview with ESOP Marketplace. Robert Smiley - Along with founding and running The Benefit Capital Companies, a nationwide group of firms that specialize in banking and financial advice, Robert Smiley is also one of the founders and a past president of The ESOP Association. This trade association includes over two thousand ESOP companies of all sizes and has an active presence in our nation's capital. The group has been influential in promoting ESOPs and fostering cooperation on employee ownership between company owners, industry organizations and government alike. Robert Smiley is a nationally recognized speaker and writer on ESOP topics. James Steiker - James Steiker is a noted ESOP advisor with over a quarter century's worth of experience in ESOP design, leveraged transactions, regulatory compliance and other areas. 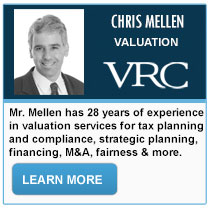 He is an attorney specializing in taxes, corporate law and pension plans. He is a long-standing member of the ESOP Association, having chaired the organization's Finance Committee and currently sitting on the Board of Governors. He is also on the board of the NCEO, and serves as a trustee of the Employee Ownership Foundation. He is an active writer and speaker on ESOP topics and serves on the boards of a number of employee-owned companies.